“Singing is a deeply personal experience. When our minds and bodies coordinate to create expressive sound, we become artists capable of profound connection to our audience. This is my passion, both as a performer and as a teacher. As a voice educator, Dr. Holland is perceived not only as a leader but a team player; a risk taker, but a careful decision maker. Aside from performing, Dr. Holland keeps busy traveling around the globe as a music educator, with a thriving roster of students who look to her for guidance in their exploration and understanding of how the human body creates naturally intense sound. Dr. Holland is available for private vocal coaching sessions; primarily in Chicago, Atlanta and Toronto. Dr. Holland is co-founder and instructor for the Third Annual Vocal Performance Intensive at The Royal Conservatory of Music. Sessions are typically held in July. It’s an intensive, yet supportive environment where students 14 to 18 years of age can experience life in a Musical School Program, to further enhancing their studies. Join young singers from across North America in this unique and immersive learning experience. Leading professionals and music educators provide daily lessons and coaching, as well as classes in acting, movement, diction, and musicianship skills. Each session provides multiple performance opportunities, giving participants a chance to showcase their new skills. Don’t miss this exclusive opportunity to work with stellar faculty and to bond with your singing peers. Register now for one or both Vocal Intensives, as there is limited enrollment. Subscribe to my newsletter for updates! As a member of the College of Examiners for the Royal Conservatory, Dr. Holland regularly examines singers. The Royal Conservatory Examinations set a standard for music education throughout North America for students, parents and teachers to track and measure progress and achievements. Preparing for and successfully completing an examination builds self-confidence and helps students develop a sense of pride. Built to Sing with Dr. Victoria Holland. A unique approach to singing based on how the human body creates naturally intense sound, free of tension. All singers and teachers who sing are welcome. Sign up for next class, to be announced. The Royal Conservatory of Music’s Music Development Program in Toronto provides a recognized national standard of musical success through an effectively sequenced course of study from beginner to advanced levels. Victoria is a member of the Royal Conservatory’s College of Examiners and adjudicates RCM vocal assessments throughout the US. At the Royal Conservatory’s Summer Voice Intensive for High School Students, Victoria teaches voice and Italian diction. Founded in 1944, the National Association of Teachers of Singing, Inc. (NATS) is the largest professional association of teachers of singing in the world with more than 7,300 members in the United States, Canada, and over twenty-five other countries. Dr. Holland has been a NATS member in good standing since 1997 and has served on the Chicago Chapter’s executive board as Treasurer (2008-10) and President (2010-12). The Musical Offering is Evanston’s Community Music School. 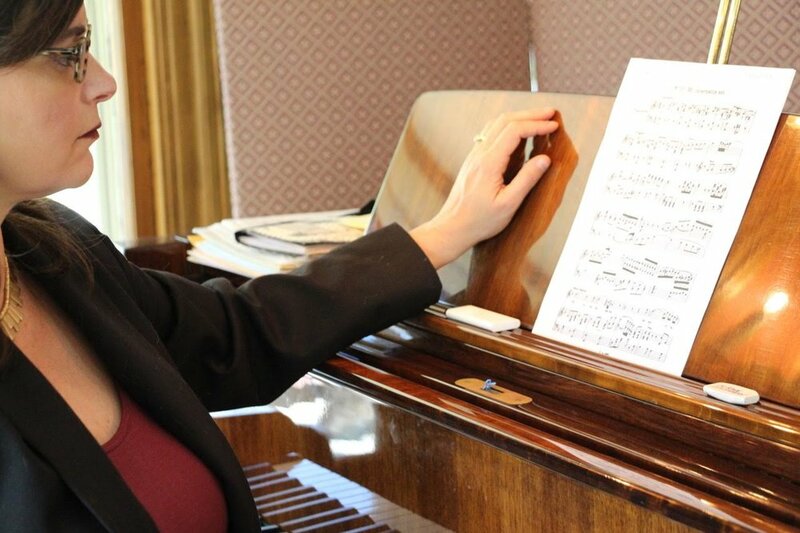 Dr. Holland teaches private and class voice lessons, and serves on the organization’s board. They are a musical home for beginners to bloom and for more experienced musicians to explore their craft. They are proud of their process-oriented teaching philosophy, professional, friendly faculty, investments in local schools, and partnerships with arts organizations equally committed to making music more accessible to all. Musicians Club of Women (MCW) is the oldest musical club in America. 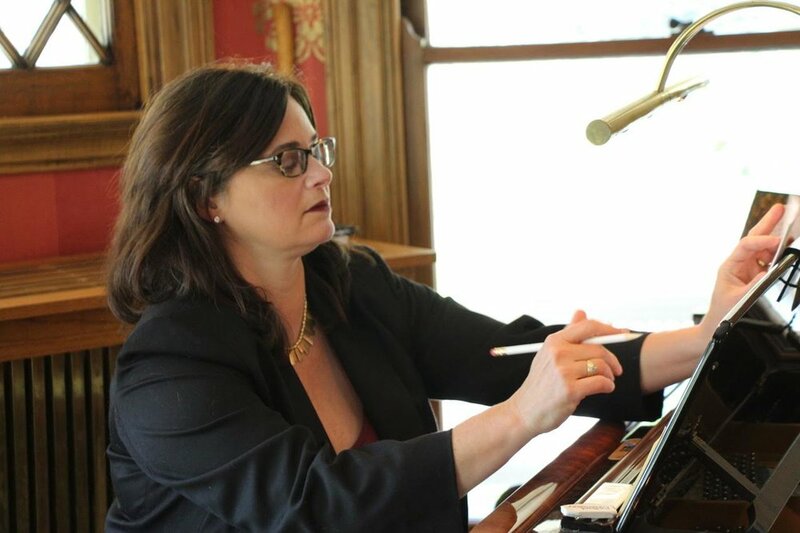 Founded in 1875, MCW is dedicated to promoting established and promising women in classical music through its scholarship program and performance opportunities. Victoria is an active member and has served on the board since 2014. The Ondas Ensemble performs new and historic chamber music, with a focus on Latino-inspired composers; works closely with contemporary composers to develop new works for chamber ensemble; and participates annually in the Chicago Latino Music Festival. Victoria performs vocal chamber music with Ondas as a member of the core ensemble.